The North Carolina General Assembly wrote the reckless driving laws in North Carolina to make it relatively easy to bring criminal charges. Prosecutors are given a substantial amount of discretion in presenting criminal charges in court. The District Attorney chooses what cases to prosecute in NC criminal court, depending on the nature and circumstances of the traffic ticket. As a result, that also means both judges and juries in North Carolina can find people guilty of reckless driving based on a wide range of different factual scenarios. Reckless driving in North Carolina includes places legally defined as highways or "public vehicular areas." Sometimes defense lawyers in Charlotte NC and other court personnel refer to a public vehicular area as a "PVA." The law is expansive, broad, and subject to interpretation for a reason; the legislature wanted it that way. The NC traffic laws are intended to protect all motorists from dangerous and potentially deadly driving. The consequences for a conviction of reckless driving in North Carolina can be both swift and substantial. What is reckless driving in North Carolina? 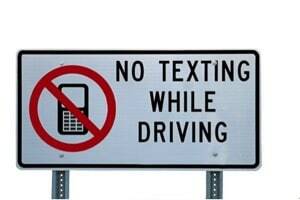 Is it different than careless driving? Is reckless driving something more than just not paying attention - or a car accident? The reckless driving laws in North Carolina, and the definitions of what is legal or illegal under traffic laws, is intentionally broad and inclusive. That applies as much to the question, "What is reckless driving in North Carolina?" as it does to the inquiry, "Where can you be charged with reckless driving in North Carolina?" Put simply, where you drive and whether that is deemed "careless and reckless" given the location, circumstances of what took place, and WHERE the operation occurred, are all important legal issues to be considered by experienced criminal defense lawyers. Can you be charged with reckless driving on private property? Is drag racing considered reckless driving? Are there places where police cannot issue a ticket for reckless driving in North Carolina? Just because you're not on I-77 or I-85 in Charlotte NC or I-74 in Monroe, NC or Highway 150 in Iredell County, North Carolina, doesn't mean you can't be charged. There are times where you don't even have to be driving a car be on what might traditionally be considered a highway or roadway. Reckless driving charges are also not limited to cars, motorcycles, or trucks. The law is written to include "vehicles," which requires further exploration of the NC traffic laws to find out what is defined as a "vehicle" under the law. Can I be charged with reckless driving in North Carolina on a golf cart? Do I have to be on a street to get a ticket for reckless driving? Is it possible to be going below the speed limit and still charged with reckless driving? Does careless driving in North Carolina always result in reckless driving charges? 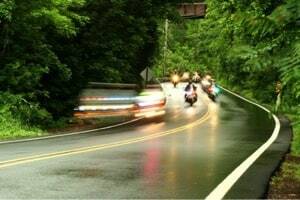 What is the difference between reckless driving and careless driving in North Carolina? Is reckless driving a felony or misdemeanor in North Carolina? Can I be charged with DWI-DUI and reckless driving in North Carolina? Can my DWI charges in Charlotte NC be reduced to reckless driving? Do I need a criminal defense lawyer near me to help with a careless and reckless ticket? Is reckless driving a misdemeanor in North Carolina? What are the insurance points for reckless driving? Are there motor vehicle points for reckless driving in NC? Will my license be suspended for reckless driving in North Carolina? Those are all great questions. Clients with traffic tickets have legitimate concerns about reckless driving in North Carolina. 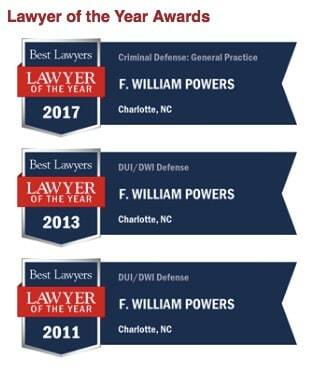 Our defense lawyers will take the time to listen to you, answer your legal questions, and help craft a legal defense. At our law office, it's our goal to help you navigate a sometimes complicated legal system that involves criminal charges, insurance points, NC driver's license issues, motor-vehicle points and potential suspension issues related to certain reckless driving charges. As you can see, the law is expansive, often including more than just the highways or roadways in North Carolina. Parking lots may be deemed a PVA or public vehicular area, as well as other areas where people commonly operate motor vehicles. "So as to be a danger"
In reading the reckless driving statute in North Carolina, one could see why some people mistakenly believe reckless driving may be a "lesser included offense" of DWI-DUI charges in North Carolina. In fact, it was once common to allow impaired driving plea bargains in DUI charges in NC to reckless driving. Until the Safe Roads Act of 1983, North Carolina had a specific offense called, "Reckless Driving After Drinking." That provision of the DWI laws in North Carolina has since been repealed. What is criminal negligence in reckless driving charges in North Carolina? Defense lawyers in Charlotte NC may refer to "criminal negligence" as careless driving or reckless behavior that exhibits a conscious disregard for others. It is deemed an indifference to the safety and welfare of others. That may include others' "rights" to be safe on the roadways of North Carolina. For example, determining "criminal negligence," appellate courts have found it (the negligent act) less than the level of recklessness required to show "malice" for second degree murder charges in North Carolina. 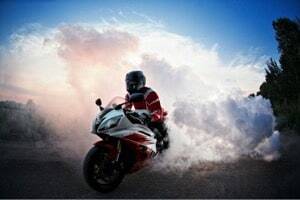 At the same time, it is not the same thing as what might be enough to sue someone for negligence due to a car accident, where careless driving might be considered a "deviation of reasonable conduct." See: North Carolina v. McAdams, 51 NC App 140 (1981). Failure to comply with ordinary care, which might be defined as "reasonable care" in a civil, tort claim for money damages, is something different than criminal negligence. 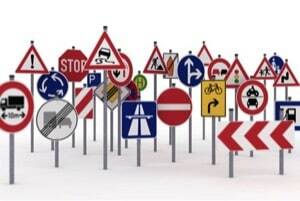 Failing to pay attention is not always reckless driving; but, reasonable minds may differ as to what is reasonable or foreseeable or what might be deemed a natural, ordinary or even expected consequence of certain behavior(s). 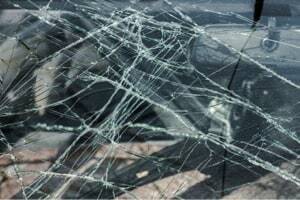 That is not to say that reckless driving in North Carolina could not in-and-of-itself also provide legal grounds for a civil tort claim in a personal injury case. Most certainly a criminal offense of reckless driving may not only subject one to legal liability in an auto accident case, but could be used as a legal basis for punitive damages in addition to anything else already imposed by the criminal court system. What are examples of criminal negligence or culpable negligence in NC? Criminal defense lawyers may use these terms interchangeably. "Culpable" normally means "legally responsible." Criminal negligence also may be established by an intentional violation of the law or the wanton or willful violation of a North Carolina General Statute whose purpose is to protect human life or "protection of human life or limb." An example of a public safety statute is the North Carolina DWI laws under N.C.G.S. 20-138.1. The North Carolina courts have held 20-138.1, the impaired driving law in NC, is a "safety statute designed for the protection of human life and limb" and that violating the DWI law is "culpable negligence" as a matter of law. North Carolina v. Jones, 353 NC 159 (2000). But there are also other "public safety statutes" whose violations may constitute culpable or criminal negligence in North Carolina. Speeding charges in North Carolina, under N.C.G.S. 20-141, and N.C.G.S. 20-146 failure to drive on the right side of the highway are two examples. Speed competition laws (drag racing and pre-arranged speed competitions) in North Carolina are another example. When a safety statute is purposely broken or violated by an unintentional act, criminal negligence may be found if that violation of the North Carolina law is "accompanied by recklessness of probable consequences of a dangerous nature, when tested by the rule of reasonable [foreseeability], amounting altogether to a thoughtless disregard of consequences or of a heedless indifference to the safety of others." Can I be charged with reckless driving in North Carolina and other criminal charges? 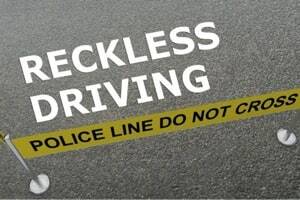 While reckless driving is often the most serious charge on the traffic ticket, people often focus on the other violations like speeding, stop sign tickets, failure to reduce speed, following too closely, tailgating, texting while driving, and lane violations. 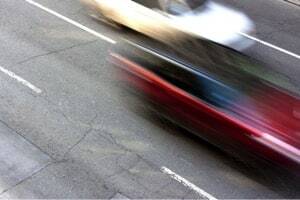 Careless driving or as some lawyers call it, "careless and reckless driving" in North Carolina is normally something more than a minor error or momentary lapse in judgment, or miscalculation of something like stopping distances. While paying attention while driving may be one of the most important things we all do as motorists in North Carolina, we can and do make mistakes. Every driver is held to the standard of reasonable, cautious conduct. In operating a motor vehicle, we are charged with the responsibility to consider the rights and safety of others. What's more, we are held to the duty to consider the ordinary and natural consequences of our actions. As such, aggressive driving in North Carolina may indeed prove to be reckless driving. And while "careless driving" may sound minor, it is more than mere semantics. Careless driving has the potential to lead to insurance points being added to a license, to more money being spent on court fees, more money being spent on car insurance and more time being wasted than driving carelessly is worth. Why drive carelessly if it can be avoided? If you are caught driving carelessly and receive a traffic citation, the lawyers at Powers Law Firm may be able to help you better understand your options. The criminal defense lawyers at our law office work to help those accused of violating North Carolina traffic laws understand the legal system, including the North Carolina insurance laws and points system at DMV. Reckless driving has the potential to bring four points with it, and aggressive driving might bring up to five points with a citation. All of these can likely be avoided if drivers pay more attention when behind the wheel. By focusing, drivers may be able to save their time, their money, and possibly their lives. North Carolina traffic laws are in place to keep drivers or anyone on the road safe; however, some drivers may find themselves temporarily on the wrong side of the law for one reason or another. If you have been cited for a violation of a North Carolina traffic law like careless driving, you may want to look into legal representation by a criminal defense lawyer. At our law firm, legal representation includes listening to your side of the story. In preparing a defense, our attorneys need to understand what happened on scene and whether your driving amounts to reckless or careless driving. It helps to have insight into the criminal justice system in North Carolina and the process you have to go through when you receive a citation. As defense lawyers we provide compassion and sincere desire to help. A common question people Google is, "Should I pay off my ticket?" While that is a common sentiment, there rarely is a simple answer that applies in every instance. That's because each criminal charge, like each client at our firm, is different. There are some citations or traffic tickets in Charlotte NC that you can't just pay. If serious enough, certain traffic citations may require an appearance in court. And even then defense lawyers may be able to appear on your behalf. Again, each case is different. The defense attorneys at our law firm provide a FREE LEGAL ADVICE during the initial consultation. That means we'll explain the NC traffic laws. We'll ask a lot of questions and after doing so, we can explain what we think the best thing to do is and give legal advice about how to proceed forward. 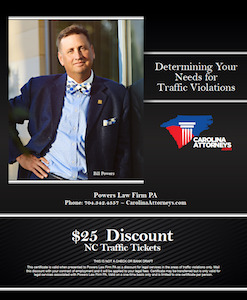 We only send a bill of legal representation for traffic tickets in NC if a client asks for our help.